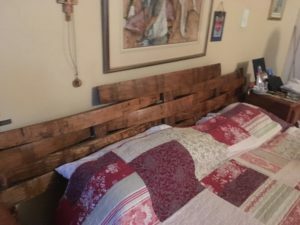 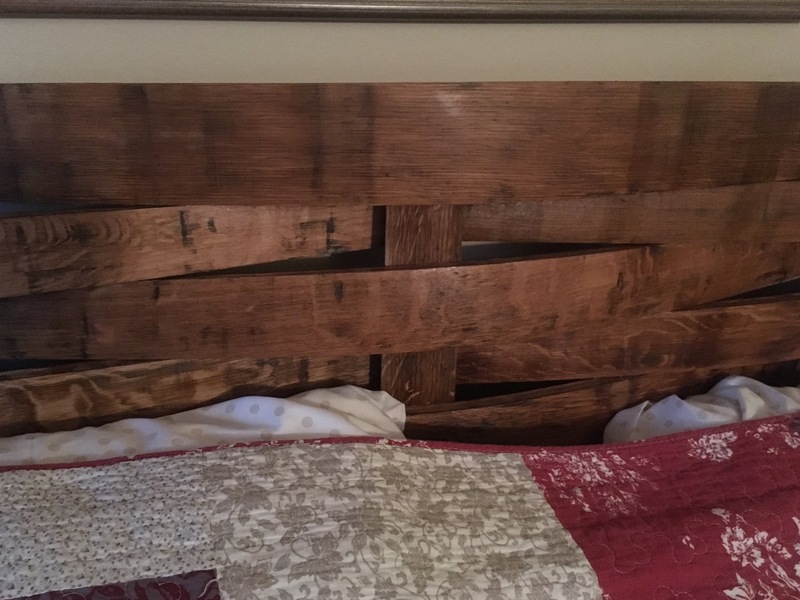 This headboard is constructed from old Brandy aging barrels. 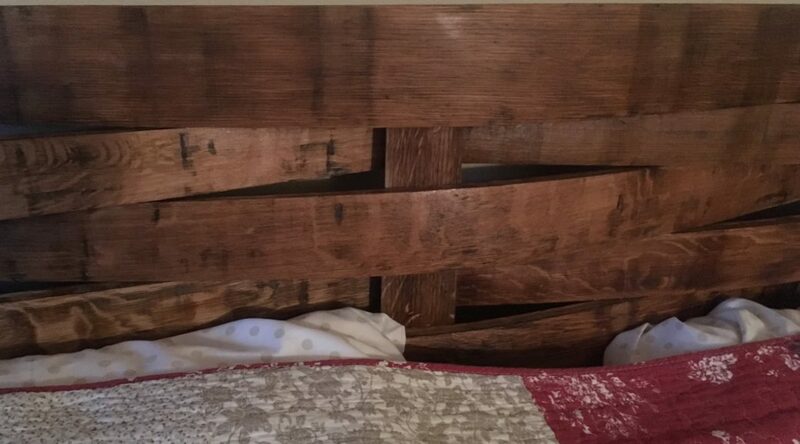 The wood is from imported french oak barrels that is reclaimed and restored. All the wood is from wine Barrels with no new wood. The natural curves in the wood gives the furniture an unique appearance.